According to the report, Turkey’s furniture industry exports tripled between 2005-2013 and rose to 2.2 billion dollars. Istanbul Chamber of Industry (ICI), released the sectoral report of furniture industry, one of the oldest and most well-established areas of production in Turkey. According to the Sectoral Report on Furniture Production, furniture industry in Turkey has expanded in terms of production, exports, productivity and added value between 2005 and 2013. The ICI report points out that exports which amounted to 715 million dollars in 2005 rose to 2.2 billion dollars in 2013, with a growth rate of 1.47% share in total exports. During the same period, efficiency almost quadrupled to 46.3% with 1.3 billion dollar net foreign exchange surplus. 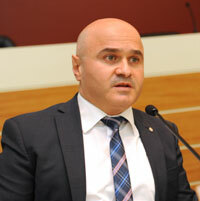 As of 2012, the production value of the sector has been 16 billion TL, with an added value of 3.5 billion TL. The sector has grown larger within the domestic market as well, thanks to a parallel growth in urbanization and the middle class that resulted in increased income levels and a higher number of small/ medium-scale offices. The report highlights strategies to increase global competitiveness of Turkish furniture production and to diminish external dependence. The strategies include development of local raw material options, elimination of unfair competition and grey economy, increased financing and capital options and consolidation in organized industrial zones. ICI Sectoral Report on Furniture Production was announced at a meeting in the presence of representatives from the industry. 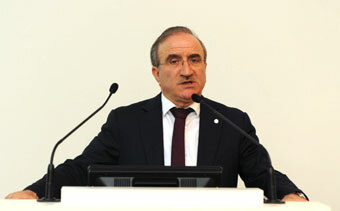 ICI Board Member Sadık Ayhan Saruhan gave the opening speech at the meeting during which he pointed out the need for micro-level reforms to meet the needs of sectors, emphasizing that the report catered to such needs. As regards the preparation of the report, Saruhan stated that the recent history of the sector and a compared analysis with competitor countries were examined to determine the strengths and weaknesses of the sector. He added that other contributors of the report included 39th and 40th ICI Sectoral Committees, Can Fuat Gürlesel as well as experts working in the sector and non-governmental organizations. Saruhan underscored the marked inadequacy of medium and high-technology production in the industry, which therefore called for the development of a sectoral strategy. 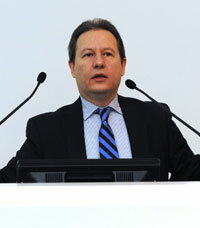 Following the presentation, Gürlesel also moderated a panel entitled “The Future of the Furniture Sector in the World and in Turkey”, with speakers including Aydın Aslandağ, Chairman of the 39th ICI Group Office Furniture Industry; İbrahim Yazıcı, Chairman of the 40th ICI Group Wooden Furniture Industry and Ahmet Güleç, Chairman of the Board of Directors of Federation of Furniture Industrialists’ and Businessmen’s Associations (MOSFED). 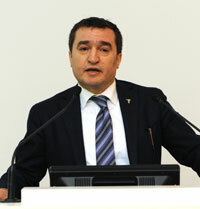 During his speech, MOSFED Chairman Ahmet Güleç underlined ICI’s substantial contribution to the sector and referred to lack of knowledge or wrong knowledge about the sector as chief problems. Güleç also pointed out to the advantageous position of the Turkish furniture industry, with furniture associations gathered under one roof. His remarks were as follows: “The furniture sector has a great potential in terms of employment in Turkey, which needs to be made use of. Unfortunately, the approach to growth in Turkey is problematic. The sector feels intimidated by the idea of sharing. We as Turkish furniture industry can grow far better. Our growth rate is already at around seven per cent. I believe that Turkey will be one of the top five furniture exporting countries.” After the panel, representatives of the sector took the floor to share their views. According to the ICI Sectoral Report on Furniture Production, the sector has 39 thousand entrepreneurs and 159 thousand 246 fee-earners as of 2012. In addition, the rate of capacity use in the sector fell below the average in overall industry with 71.4% in 2013. The report points out that the highest production growth was in kitchen furniture group with a rate of 243.5% and highest export growth was in the group other furniture and their parts and accessories with a volume of 1.3 billion dollars. Furniture imports amounted to 389 million dollars in 2005, with the figure rising to 969 million dollars in 2013. The highest share in furniture imports has been seating furniture and their parts and their accessories with a volume of 451 million dollars. The furniture sector works in wood and wooden products, metals and plastic materials used in every area of daily life and operates under four sub-categories; namely office-store, kitchen, bedroom and other furniture. The sector is predominantly made up of small-scale enterprises. A declining number of employees were hired for R&D activities since 2009, with the figure dropping to 315 in 2013. 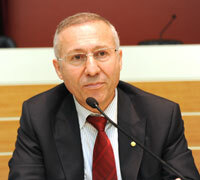 R&D expenditures meanwhile rose to 1.7 million TL. Since 2013, the number of patents registered in furniture production has increased to 317, while brand registration rose to 2 thousand 663 and industrial design registration to 1.719. The report also points out that the sector that is largely dominated by small-scale companies is mostly concentrated in chiefly Istanbul and Kayseri, followed by other cities such as Bursa, İzmir, Ankara, Adana and Eskişehir. While the rate of furniture industry in total exports worldwide rose to 1.3, Turkey ranked 15th among top exporting countries. The major markets for Turkey have been the EU as well as Azerbaijan, Iran, Georgia, Russia and Turkmenistan, with the USA ranking among the top fifteen countries. A significant percentage of imports in the sector came from the EU and China. The production value of the world’s furniture manufacturing industry rose as high as to 446 billion dollars in 2013 and furniture consumption to 440 billion dollars in 2013. China was the top furniture exporter in the globe in 2013 with a volume of 60 billion dollars, followed by Germany with 12 billion dollars and Italy with 11 billion dollars. The top furniture importer across the world has been the USA with a volume of 42.1 billion dollars, followed by Germany and France. The report listed the following strategies to improve the global competitiveness of Turkish furniture production and to diminish external dependency. Strengthening infrastructure for tests, measurement, laboratory and standards.